The Salford Red Devils Foundation are proud to release their impact report for 2015/2016. The report reveals the scope of the Foundations engagement and activity in its local area, and shows the fantastic impact that is being made through sport and education in Salford and beyond. The Salford Red Devils Foundation have consistently been one of the most active charities in the Salford area, and this was the case once again as the Foundation engaged with over 45000 individuals across tens of thousands of hours, delivered by a team of 23 highly trained and experienced staff. One of the biggest successes to be highlighted in the report is the continued engagement with Primary and Secondary Schools. The Foundation regulary delivers rugby and sport programmes to 27 High Schools and 117 Primary Schools, aiming to promote regular exercise and healthy life styles, as well as helping to develop key social skills in children. Another key area of success for the Foundation has been the delivery of the Sky Try programme. Sky Try is an initiative designed to introduce new people to sport of Rugby League, and is carried out by Super League clubs across the country. The Red Devils Foundation are at forefront of the programme, introducing the game to 288 High School Girls throughout the year, as well as hundreds of High School boys. 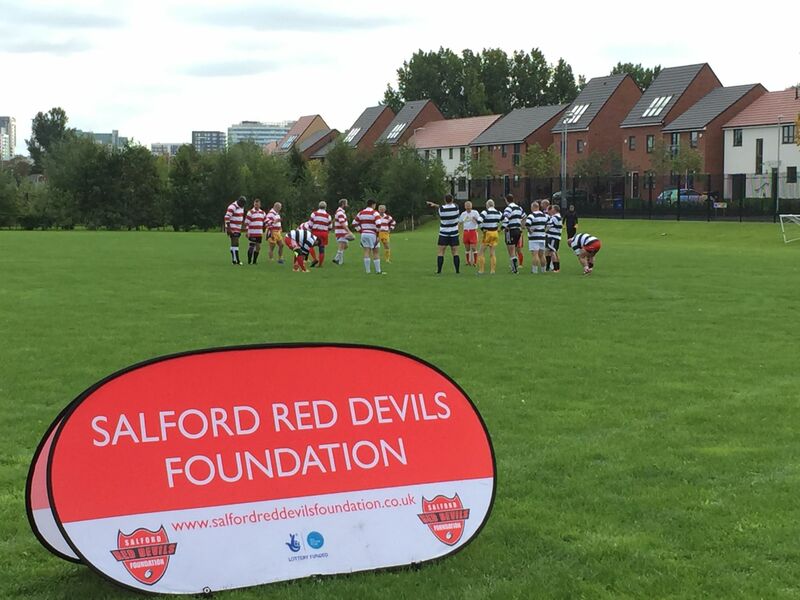 The Foundation also ran the Sky Try ‘Big Games Bigger’ event, which saw 1372 extra people attend the Salford Red Devils clash with Wigan Warriors in 2015. Away from rugby, the Salford Red Devils Dance Academy has also seen fantastic success over the previous 12 months. Over 100 Red Devil Dancers performed on the pitch on front of thousands of spectators at either the Challenge Cup Final at Wembley Stadium or at the Magic Weekend at St James Park in Newcastle. “There’s some really exciting stuff on the horizon for the Foundation. Not only will we continue to deliver and develop the work we already do, but we will be to spread out into new areas and programmes that will benefit even more people.